The Mac Pro is coming in 2019. Rumors of a three-lens camera system and other iPhone news. What’s it like for an adult to use Swift Playground to learn how to code? We also feature your comments and questions. The Mac Pro is coming in 2019. Rumors of a three-lens camera system and other iPhone news. What’s it like for an adult to use Swift Playground to learn how to code? We also feature your comments and questions for Jason Cross, Leif Johnson, Roman Loyola, and Dan Masaoka in the Macworld Podcast, episode 600. 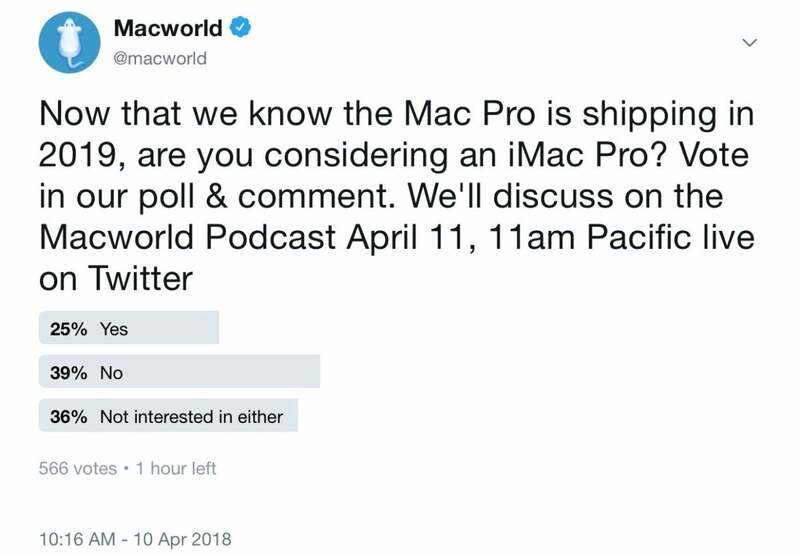 Before the show, we asked via Twitter: Now that we now the Mac Pro is shipping in 2019, are you considering an iMac Pro? Here are the results.